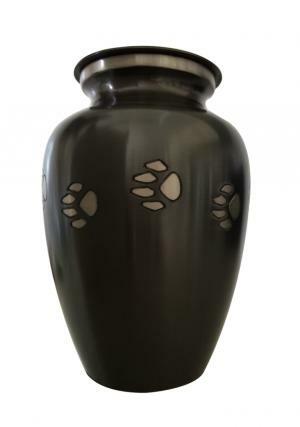 The slate paw print pet urn is designed by professional and skilled artisans, who are expert in crafting the pet urns with their unique touch of design and crafting as their passion. The urn is made of brass that includes 60% of tin and 40% of lead so derived the name for the material of the urn as black pewter. 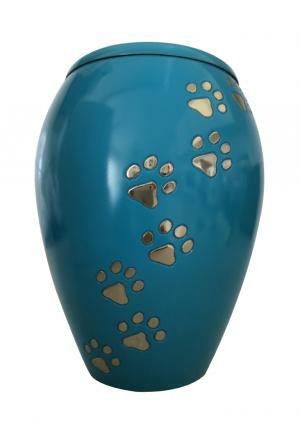 The pet urn is made of brass material that gives you an elegant look for the interior of where it is placed and been decorated. 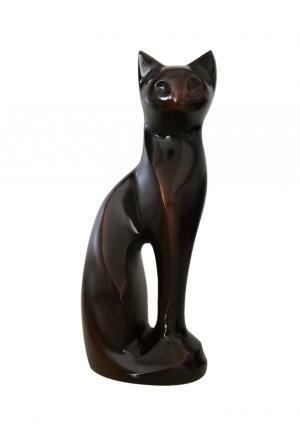 Pet urns are desired for the people who wish to keep the remaining of the lost pet as a token of appreciation and memory. 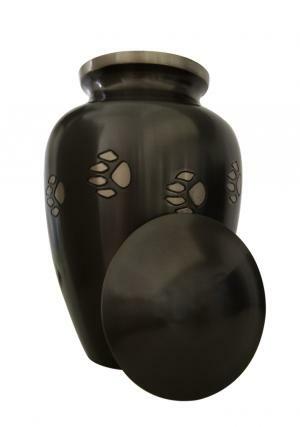 The Pet urn is printed with paws of the pet in gold color and the neck of the urn is banded with gold that joins the lid on the top which is used for secured closure of the top of the urn. 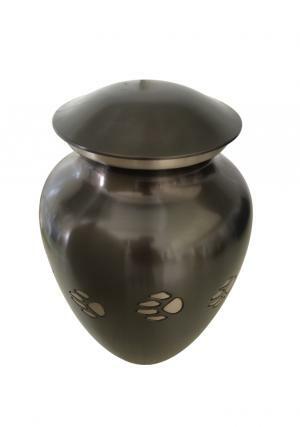 Threaded screw on the lid gives the urn and tight closure on the top. 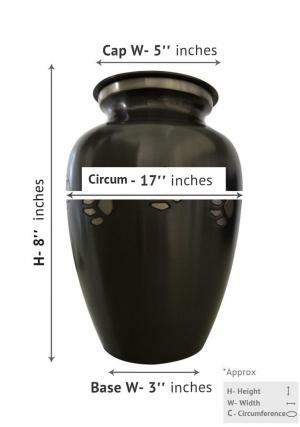 The urn carries 45 cubic inches ashes in it and measures the height as 8” inches that weighs 1.4 kg. 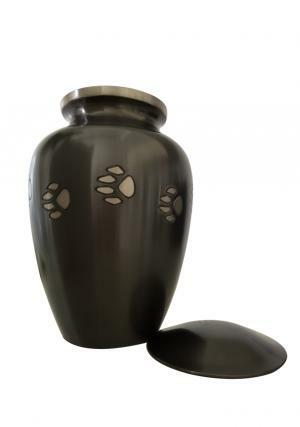 Perfect resting place for my lovely dog.